It's my favorite time of the year! It's Christmastime and I could not be happier. Now only if our weather would cooperate and cool down a bit, then we would be all set. I love the lights, the sounds, and the scents of this time of year. It's like cookies and pine cones every where we go. Plus, I absolutely love Christmas lights! I drive around the neighborhood taking in all the decorations every chance I can get. The only thing I love more then the sights and sounds of Christmas, is giving something special to the people that mean the most to us. That includes our teachers. They spend 8 hours a day with them and give their all to help them succeed in every way possible. I simply cannot thank them enough for all they do for both of my boys and this year I wanted to surprise them with a Christmas gift they will love. 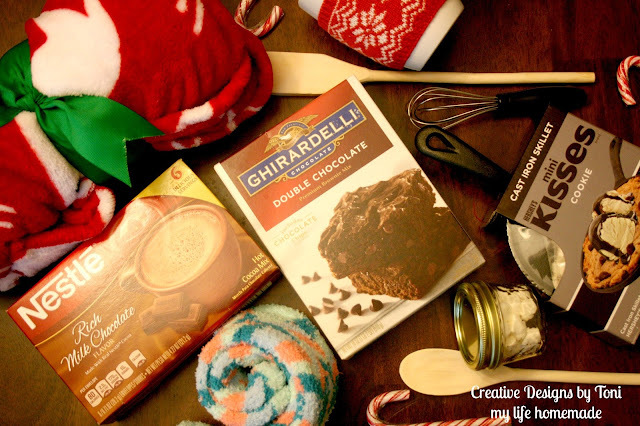 I knew I wanted to give them something useful and different and Big Lots helped me create a baking themed box full of their favorite items to bake up something sweet during the holiday break and a winter warmth box with great items to help them keep warm this winter season. 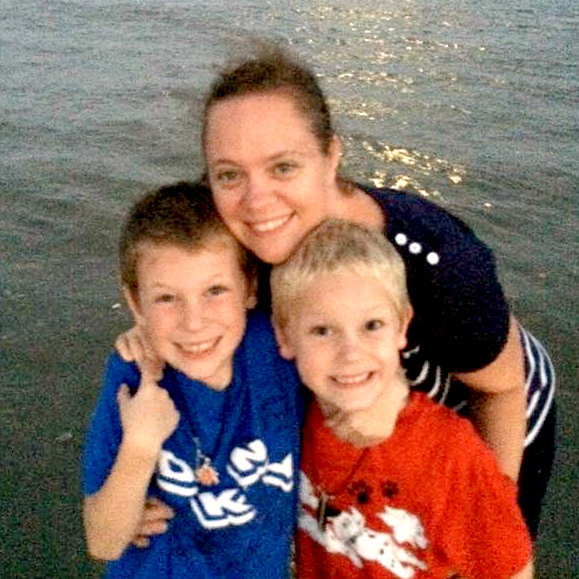 Shopping this time of year is hectic and when I have two boys in tow, it can be daunting. Usually, I need a place I can get in and out and get all I need at once. Big Lots is that place for me. I love that I can get everything on my Christmas shopping list and then some. 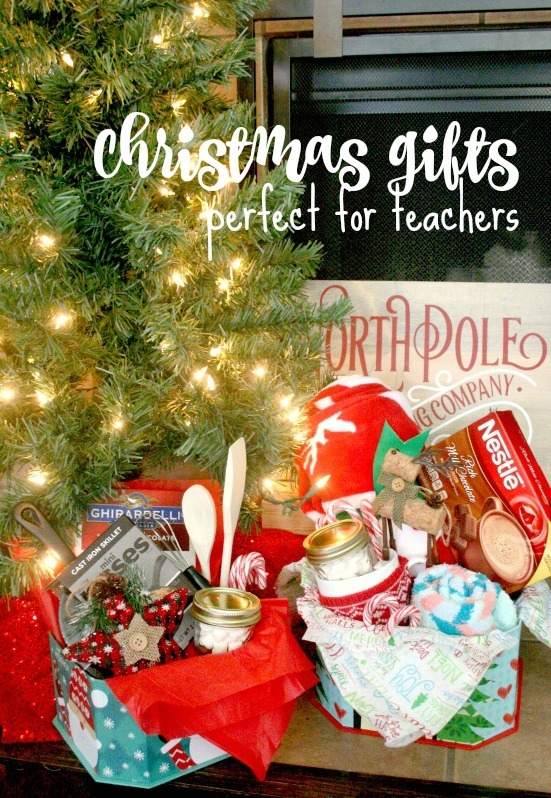 When getting these gifts ready for all of our teachers, I knew exactly that Big Lots was the perfect place to get everything on the list. Especially since I needed food items as well as Christmas ornaments and mugs and blankets. It was so easy and we had lots of fun searching the store for their favorite items and great gifts. I knew I wanted to create 4 gift baskets for each one of our teachers. I knew I wanted two to have a baking theme and the other two to have a winter warmth themed. As soon as I walked in I saw a giant display of candy canes and grabbed a box. Who doesn't love candy canes!!! I went to grab a container to hold them first. That way I knew what I needed to add and how much to fill them up with. I found these awesome holiday boxes that are reusable and perfect to use. I then searched the store for items that would be perfect to fill up the boxes. Two of them were stocked full of baking goods and items to help create a delicious treat this holiday break. 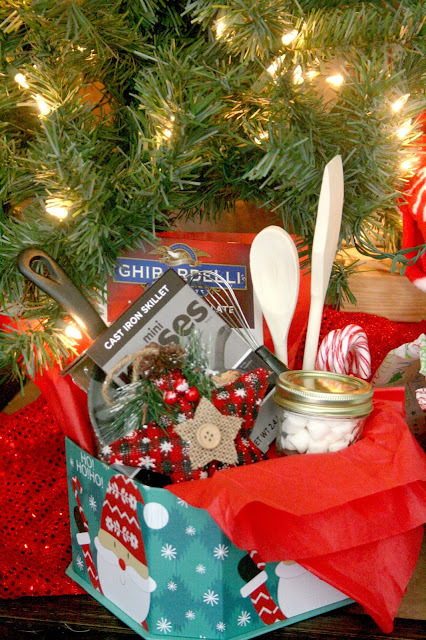 Wooden spoons, whisks, cake mix, and even a skillet cookie mix filled up our baking box. We even added some marshmallows and the candy canes. 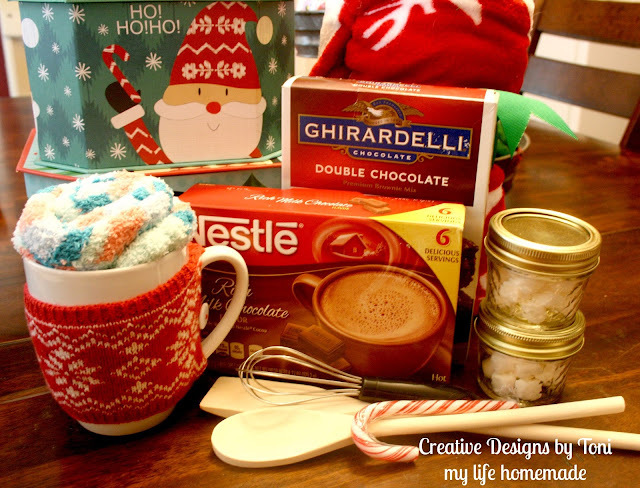 Once I had everything for the baking boxes, I searched for items perfect to help keep warm like the hot chocolate mix, a warm blanket, slipper socks, and even a coffee mug to fill up the other two boxes. 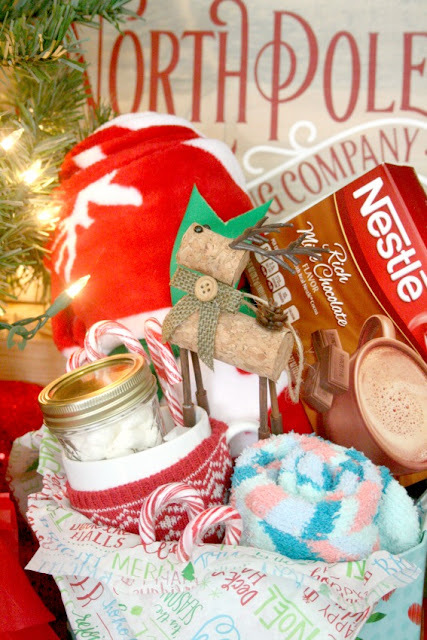 Big Lots made is so easy to grab everything I needed for these gifts I know they will love. To add a little Christmas cheer to each gift box, I came across these star and reindeer ornaments in the Christmas section that was perfect for their trees. I love giving ornaments with gifts. That way every year when they hang it on their tree, I hope they remember the thought and love that went into that gift. 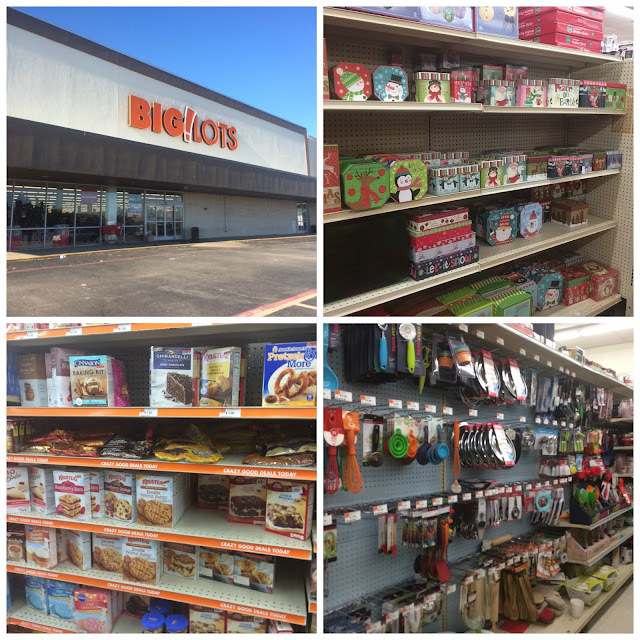 Next time your in the area, be sure to stop by your local Big Lots to check off your Christmas gift list and surprise your teachers, friends, and neighbors with great quality, name brand items everyone will love. 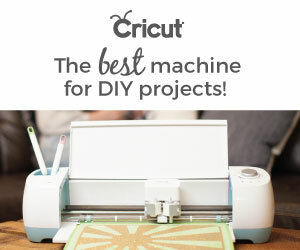 I would love to see how you created a great teacher gift with help from Big Lots.